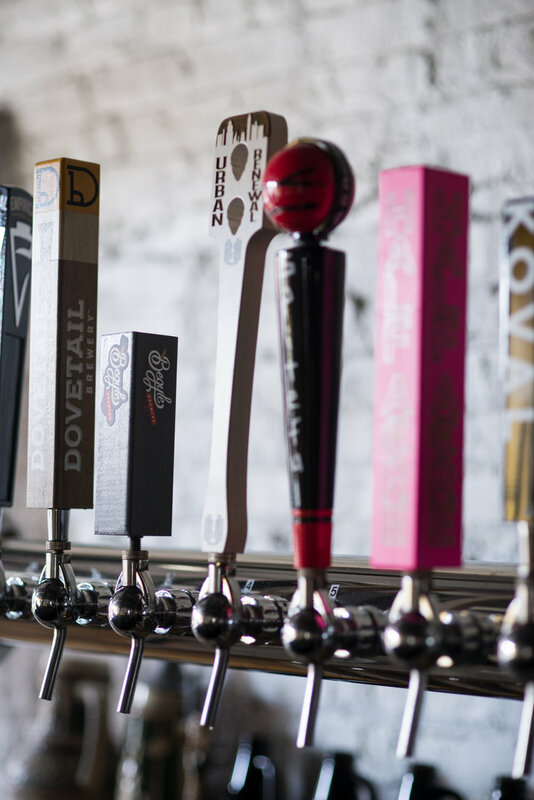 The Ravenswood Corridor and surrounding area is home to some of Chicago’s best and most diverse craft beer options. Once a turn-of-the-century hub for industry, this stretch of road is now a mosaic of creative businesses and artisans intertwined into a uniquely residential backdrop. With a bevy of breweries (and a renowned distillery) planting their roots in the Ravenswood Corridor, it truly has become Chicago’s Malt Row. Count some of the accolades of these neighbors – ’No. 5 Best New Brewery’ by USA Today [Dovetail], ’First Michelin-Starred Brewpub’ [Band of Bohemia], ’Best New Brewery 2013’ by Chicago Magazine [Begyle Brewing Co.], ‘US Micro Whisky of the Year Runner-Up 2017’ by Jim Murray’s Whisky Bible [KOVAL Distillery] – it’s easy to see why spending a day wandering the corridor would be time well spent. While each brew, space and story is different, we’ve found one thing in common with all of the folks up and down Ravenswood Avenue: relentlessly welcoming hospitality. Whether it’s Dovetail for a crisp pint of lager, Half Acre for a juicy hop-centric IPA, or Band of Bohemia for a beet-thyme ale, we’ll see you around the taprooms. Cheers! Malt Row was established in 2017 by the Greater Ravenswood Chamber of Commerce (GRCC). For press/pr purposes or to connect your business to Malt Row, contact GRCC Events & Marketing Director Gene Wagendorf III at gene [@] ravenswoodchicago.org.